Providing you the best range of compression testing machines and hydraulic compression testing machine with effective & timely delivery. 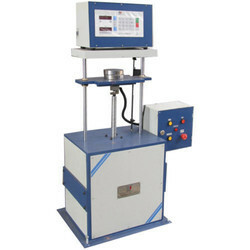 We manufacture and offer quality range of Compression Testing Machines. These are widely used in construction, rubber, the spring manufacturing and similar other industries where compressive strength of the material is required to be tested.The machine is ideal for checking the compressive strength of concrete blocks, bricks, rubber pads, and buffer springs. The compression testing machine, specially designed for small components with low load capacity up to 10kN. Very useful for testing the compressive strength of plastic, thermoform, rubber, springs and many other similar non-metallic materials. Can be used for push test on auto components within specified load limit. The simple interface of the measuring system is user friendly with precision results. The table top model occupies small footprint. The tests results can be stored, analysed and printed using the Krystal Met software (optional). 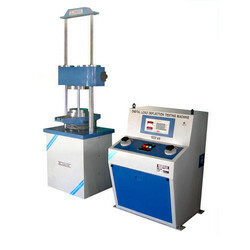 Looking for Compression Testing Machine ?